We had a lot of sunshine again today. 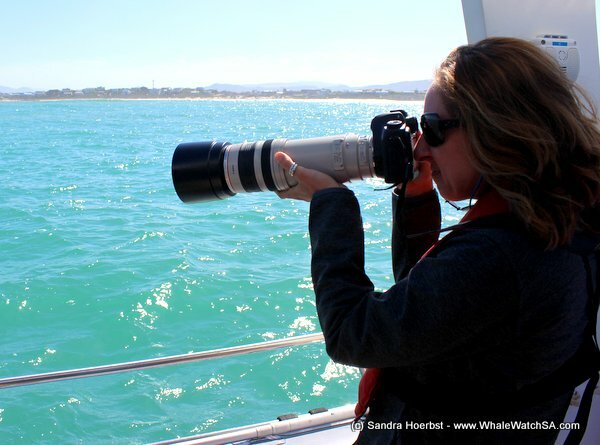 After leaving the harbour we spotted some Southern Right whales, but they have been a bit shy, so we continued our journey. 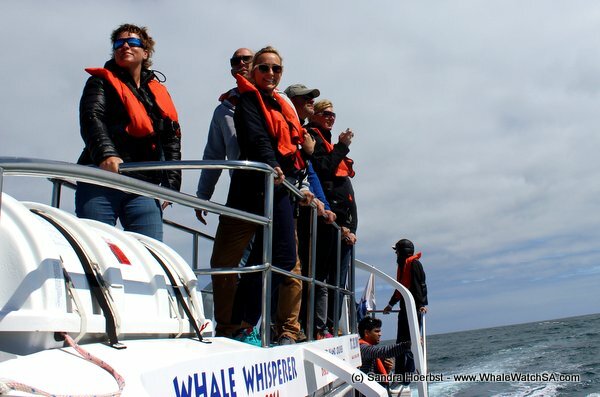 While heading towards the Pearly Beach area we stopped at Marine Dynamics, our sister company to see a Great White shark. 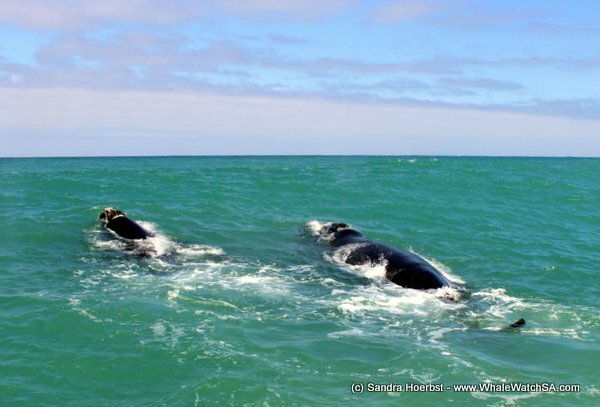 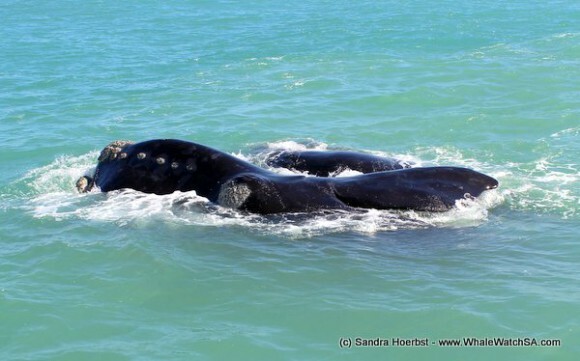 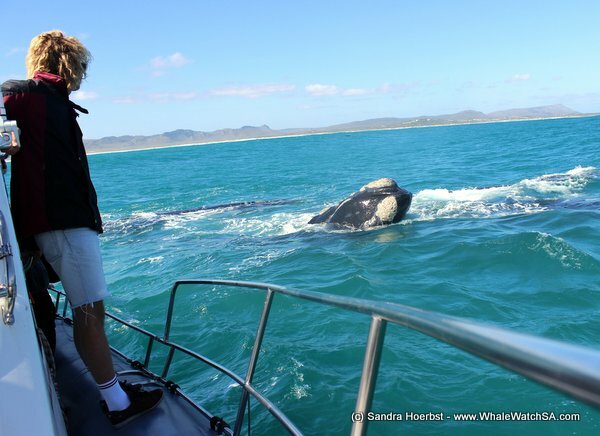 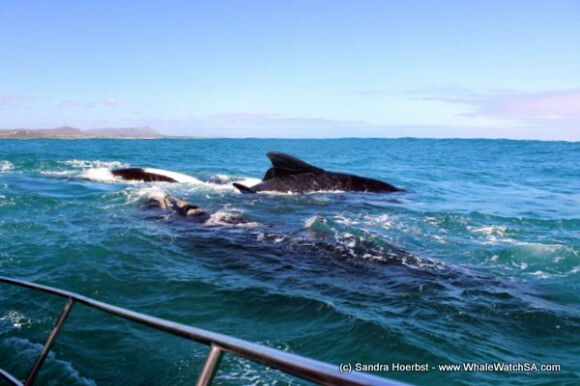 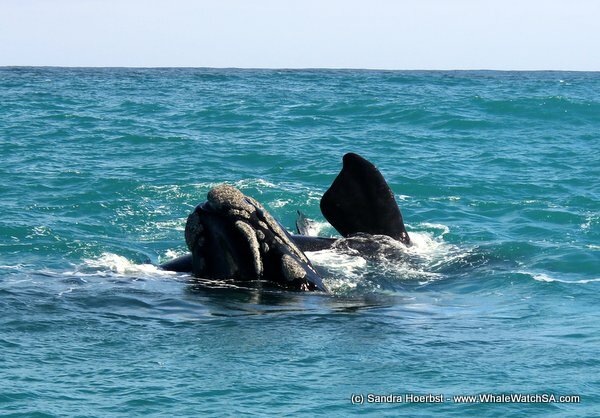 In Pearly Beach we spotted whales all over the bay, we found mating groups on both trips. 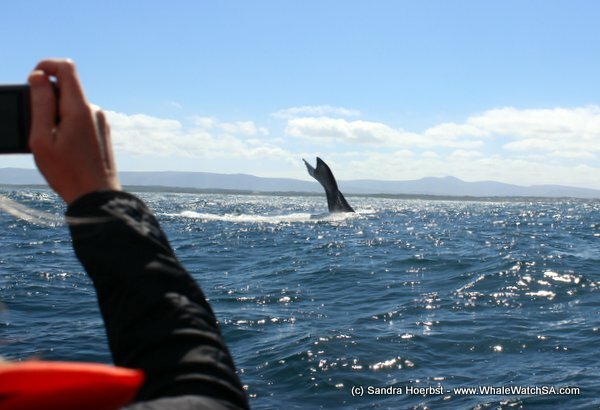 You also could see some whales breaching in the distance, how amazing is that. After spending time with the gentile giants at Pearly Beach we moved off and were heading towards the Island. 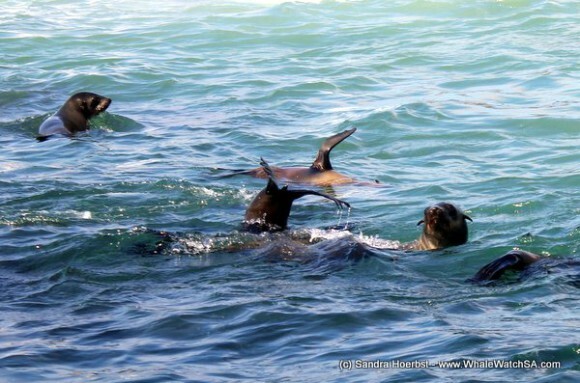 At Dyer Island we checked out the African penguins and also had a look at the Cape Fur seals on Geyser Rock. 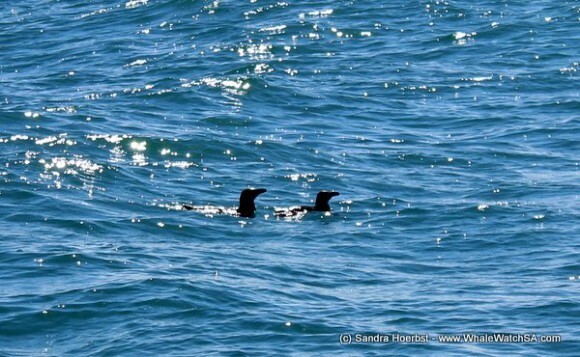 On the way back to the harbour, we were lucky and found two juvenile African penguins swimming in the water. What a nice day.